The likes of Julian Assange's WikiLeaks have set the standard for blowing the lid on huge stories based on tips from anonymous sources. 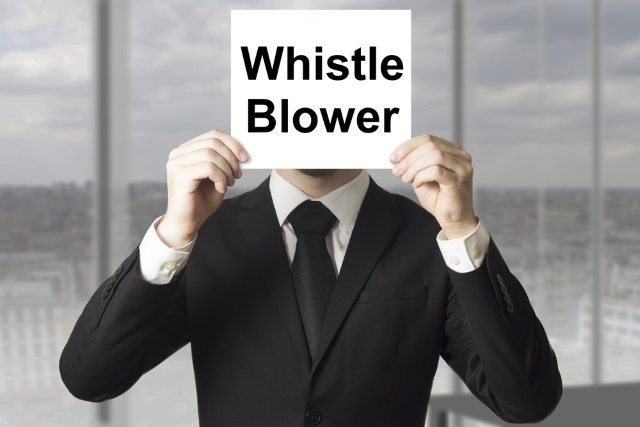 Whistle-blowers such as Edward Snowden have brought to public attention stories which would otherwise have been kept hidden from the public, and it has been with the help of newspapers such as the Guardian that this information has been disseminated around the world. Other newspapers are keen to ride on the coattails of those blazing a trail in the world of investigative journalism, and the latest to join the party is The Sun. Today, Murdoch-owned News Corp's newspaper and website launches SecureDrop -- a way for whistle-blowers to anonymously leave tip-offs that can be further investigated. The cloud service provides a means of getting in touch with journalists at The Sun without giving up anonymity -- something which is particularly important when making revelations about companies and governments. The site provides a basic guide to getting started with the SecureDrop service, starting off with pointing would-be users in the direction of the Tor Browser Bundle. Once downloaded and installed, take a quick visit to nodd5fyasyj4jqgp.onion. Anyone with information or documents that need to be submitted is invited to do just that. Although the service is anonymous, users are assigned a 7 to 10 word codename -- and the advice is to memorize rather than write it down. Files of up to 500MB can be uploaded to the cloud, and The Sun suggests that users might like to use GPG to add an extra layer of protection. With the codename, it is possible to log back into the same account and check for replies from a journalist. SecureDrop is being launched at the same time as The Sun's Whistleblowers' Charter, which aims to "uncover the secret stories being kept under wraps by the authorities that YOU have a right to know". Talking about anonymous tips, The Sun assures potential users that "our reporter only reads them on a ring-fenced laptop not linked to the Internet". There's also the assertion that "information shared through SecureDrop will go through the same rigorous journalistic process as other tip-offs to ensure it is correct before publication," but it remains to be seen if the service manages to gain the same level of trust as WikiLeaks or the network of sources journalists use. While it is possible that SecureDrop has been launched with the best of intentions, it could also be seen as a retaliation against legal action taken against The Sun and its journalists after law enforcement agencies tapped reporters' phone without permission.